This blog was originally posted on November 3, 2016 on the U.S. Green Building Council’s website. It is republished here with their permission. USGBC and Second Nature recently announced the winners of the 2016 Climate Leadership Awards, which recognize innovative and advanced leadership in sustainability, climate change mitigation and resilience at signatory campuses of Second Nature’s Climate Leadership Commitments. We sat down with this year’s Honorable Mention recipients to get their insight into how they demonstrate sustainability leadership and the impact the awards program has had on their communities. Karen Magid, Director of Sustainability at Huston-Tillotson University in Austin, Texas, gives her insight into how the university works to add an environmental focus to academics, community engagement and the physical campus environment through diverse initiatives. Tell us a bit about Huston-Tillotson University and your role as the director of sustainability. Huston-Tillotson University (HT) is a historically black institution and the oldest higher education institution in Austin, Texas, with approximately 1,000 students. 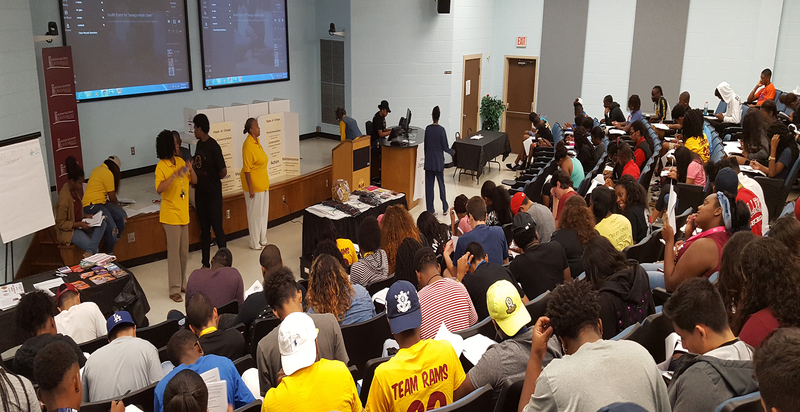 HT is a leader in the historically black college and university (HBCU) community by providing innovative sustainability education, by building community and student engagement, and by framing a green campus transformation. The school has implemented a series of initiatives centered on environmental education, including the introduction of an Environmental Studies program, sustainable campus projects in food and gardening, and renewable energy, and an award-winning student movement called Green Is the New Black. I am the Director of Sustainability at HT and the first dedicated staff member in this role. Previously, sustainability projects were undertaken by a variety of environmentally minded university champions, including signing the original ACUPCC commitment. What are some of the ways HT approaches sustainability throughout campus and in the classroom? HT strives to connect sustainability to all aspects of the university: operations, academics and community engagement. Through our Center for Sustainability and Environmental Justice, we address critical environmental topics that demonstrate how sustainability interconnects with the university’s mission to educate students and develop leaders. Sustainability is a broad field, and I want every student to know how their interests and future careers connect to the environment and can involve sustainability work. We have many multifaceted platforms like the Dumpster Project, Green is the New Black, and the environmental justice-centered Building Green Justice Forum to connect resources across the many arms of campus sustainability, allowing us to serve our mission. Diversifying our network of partners while remaining focused on these unifying frameworks ultimately drives progress toward all of our goals. As an honoree of the 2016 Climate Leadership Awards, how has this recognition inspired your community? Receiving attention and accolades for our sustainability efforts as a university is a huge boon to driving support for these efforts, which can often be behind the scenes or deal with the less glamorous operational projects with university facilities. 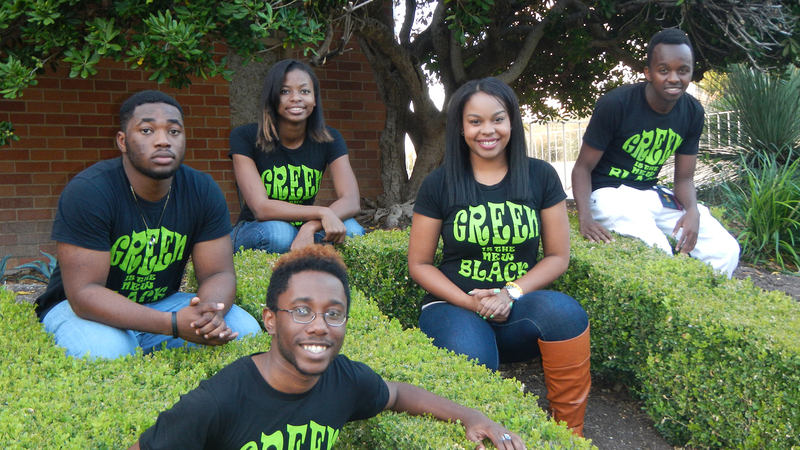 In the Austin community, receiving awards for these efforts reinforces our goal to be a leading green HBCU and supports HT as a forward-thinking institution. Awards give the students pride in their school, which helps drive ongoing and future sustainability initiatives forward. What are some recent projects or initiatives on campus that have made a demonstrated difference in the university’s operations, practices or attitudes? The 240 kW solar array is the single largest operational sustainability initiative we have undertaken (completed in late 2015); however, I am equally proud of our Building Green Justice Forum. This is our annual environmental justice conference, which focuses on a different aspect of EJ each year and brings together a variety of keynote speakers, panelists and workshops to educate and activate our campus and the broader community. This year was our third year hosting the conference, and our theme was “Race, Health, and the Environment.” These are such critical conversations for us to have in the sustainability community, and as an HBCU. Also this year, HT was named the winner in the small-campus category of the College Sports Sustainability Makeover Contest at the Green Sports Alliance Summit. This award represents a joint effort between HT’s sustainability and athletics departments and is an excellent example of what we can accomplish on campus by partnering and working across divisions. I’m also proud of our relationship with the Environmental Defense Fund’s Climate Corps program. The research these students undertake has led to several of the key operational projects, such as the solar installation, occupancy sensors and (hopefully soon) a smart irrigation control system. Collaboration and support among all levels at the university is key. High-level support from the university presidential leadership has been the driving force behind our growing sustainability commitments, with Dr. Colette Pierce Burnette now, and Dr. Larry Earvin previously. Students, faculty and staff are key partners in both the continuation of ongoing initiatives and the development of new initiatives that drive our commitments. Moreover, student-identified areas of interests can help prioritize university sustainability projects. Ultimately, I want us to work on all aspects of university operations; however, taking a practical approach requires addressing certain areas before others. For us, this means focusing on areas that interest the students, serve the entire campus community and positively impact project success. For example, Green is the New Black has been keenly aware of the challenges we face with recycling on campus, and has undertaken a peer education campaign that dovetails with the operational and other awareness work required to reform our waste and recycling efforts. Do you have any thoughts on how other institutions can demonstrate climate leadership? We have built our sustainability successes on the intellectual and social history of our institution as an HBCU. HT strives to infuse an environmental justice focus into academics, community engagement and the physical campus environment through varied and diverse initiatives. Our goal is to develop the resources for social innovation, cultural change and transformational thinking. Other colleges and universities can similarly leverage their unique histories and missions to combat global climate change, whether that means serving as a technology incubator, student leadership development field, policy testing ground or social activism arena. Are there any other initiatives in the coming year that you particularly excited about? Two things. First, we are working to implement a Green Revolving Fund at HT. I am very excited about this initiative as we seek to implement it without adding a student fee. During this process, we’ve had to investigate creative mechanisms and develop partnerships for funding initial projects that will seed the fund. Second, we will be hosting the Earth Day festival for Austin this coming April. I am very excited that we can bring this event to our campus and open our campus to the community with the specific goal of more diverse environmental awareness at the forefront.